Product prices and availability are accurate as of 2019-04-18 07:40:37 UTC and are subject to change. Any price and availability information displayed on http://www.amazon.com/ at the time of purchase will apply to the purchase of this product. - Gone are the days of sleep deprivation! Gone are the turns between parents to be awake all night. 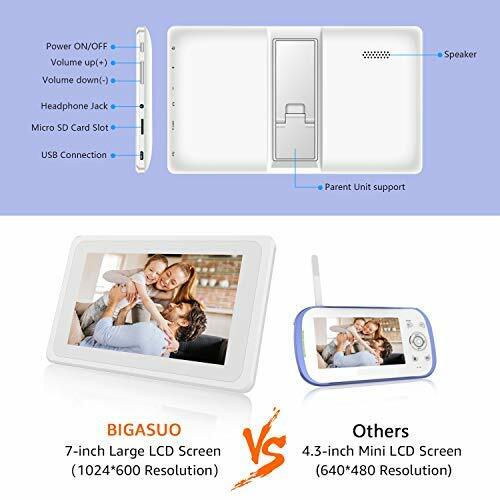 - Both parents can sleep with utmost ease and comfort as the infrared vision of BIGASUO baby monitor helps you to see the bay during the night as well. - There is no time delay during transfer of voice from baby to parent unit. You can attend to any need or emergency of your baby. - Do not place the parent unit too close to the camera which may cause noise. - WARRANTY: 3-month money back warranty, 3 years quality guaranteed. 24-hour professional Service Center. 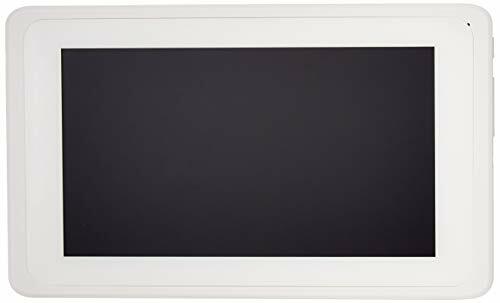 ❤ 7 Inch High Quality Color LCD Display with Enhanced 2.4GHz FHSS Technology - Provides high definition and stable streaming, secure interference-free connection and crystal clear digital vision & sound. 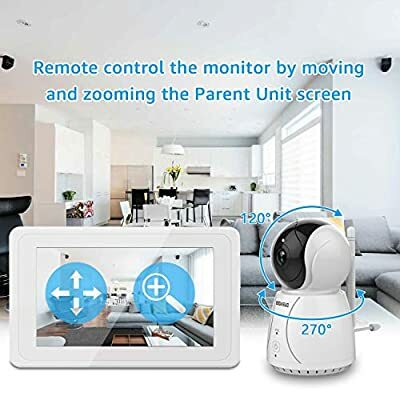 ❤ REAL-TIME VIDEO AND VOICE & EASY CONNECTION - The baby monitor with camera can allow you to monitor the baby's activities in real time without any delay. 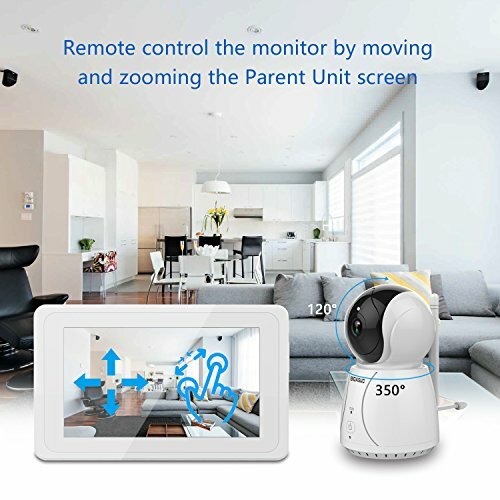 The baby monitor can be connected by holding the Pair button for a few seconds. 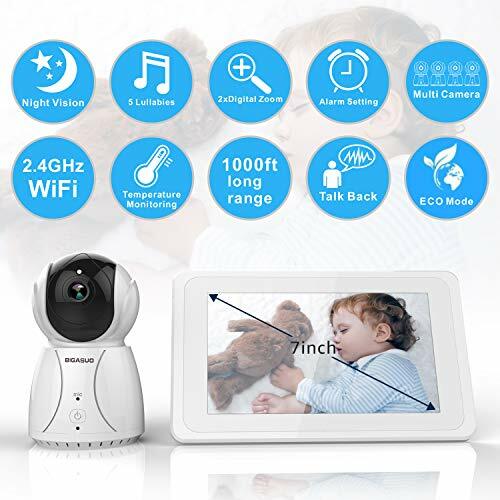 ❤ TWO-WAY TALK & NIGHT VISION - The two-way talking baby monitor with camera and audio can soothe and talk to your baby with the sound of your own voice. Night vision image is clear in black and white. ❤ ECO MODE & TEMPERATURE MONITORING - This sound-activated baby monitor will turn on/off the screen automatically when sound/no sound is detected by the unit. The temperature sensor helps you observe the room temperature all day long without worries. 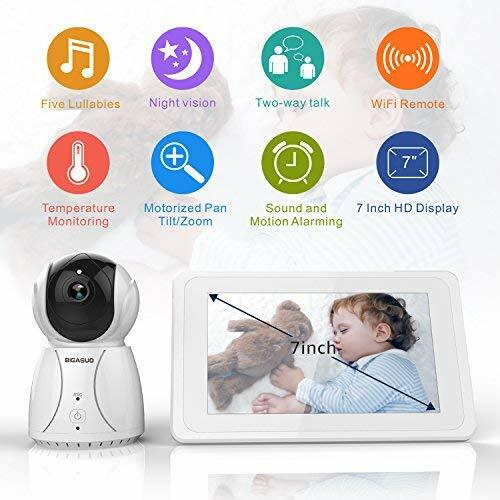 ❤ Rich Features - Room Temperature Monitoring with High/Low Temperature Alerts, Eco Mode Voice Activation, Sound Activated LED Indicators, Alarm/Timer Setting, 2x Digital Zoom with Digital, Multi-Camera Expandability (up to four cameras), Lullabies, Manual Pan (355 degrees) & Tilt (112 degrees), Auto Scan View, Tabletop or Wall Mounting Options.